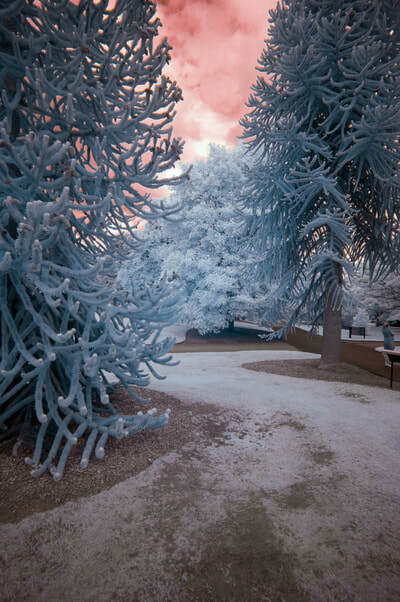 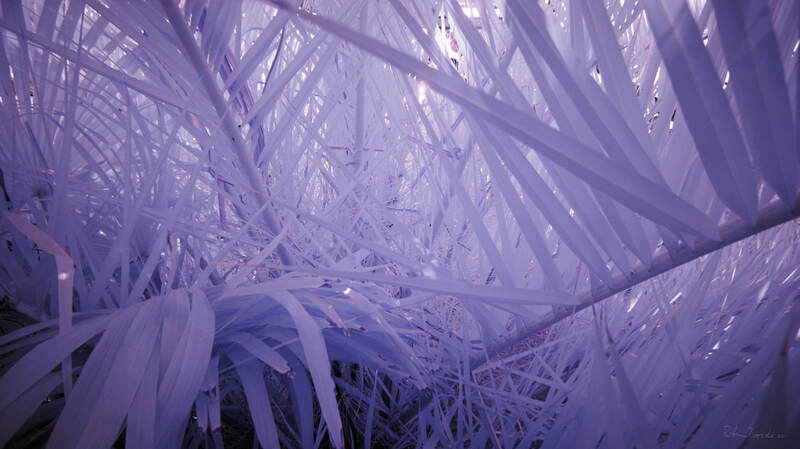 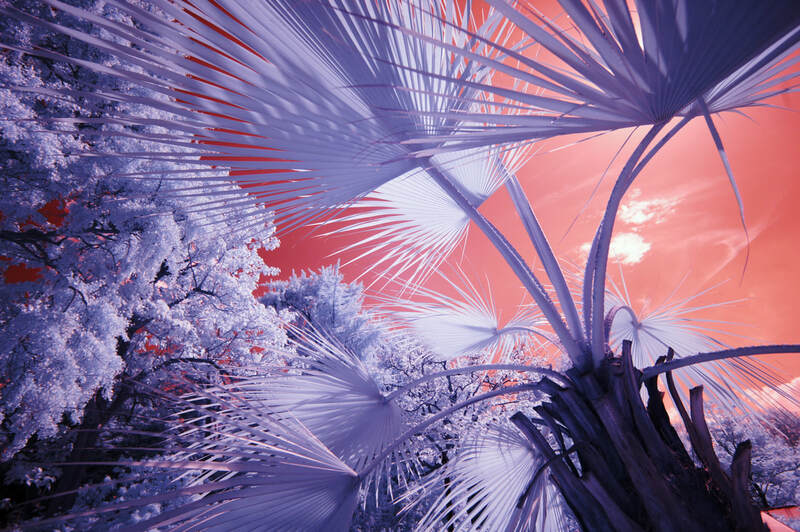 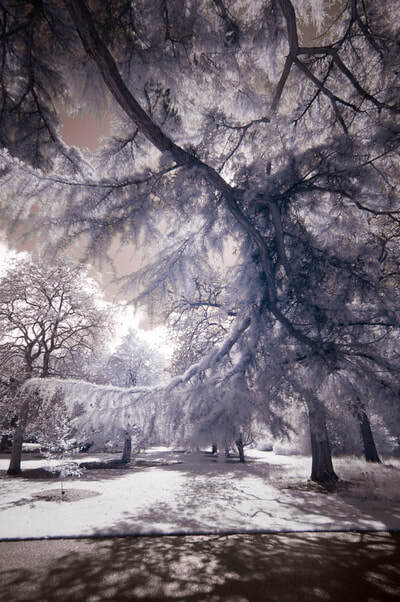 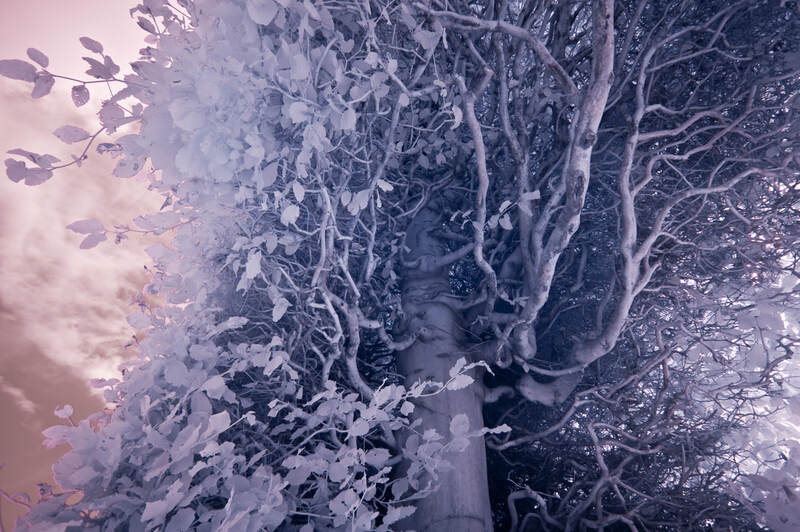 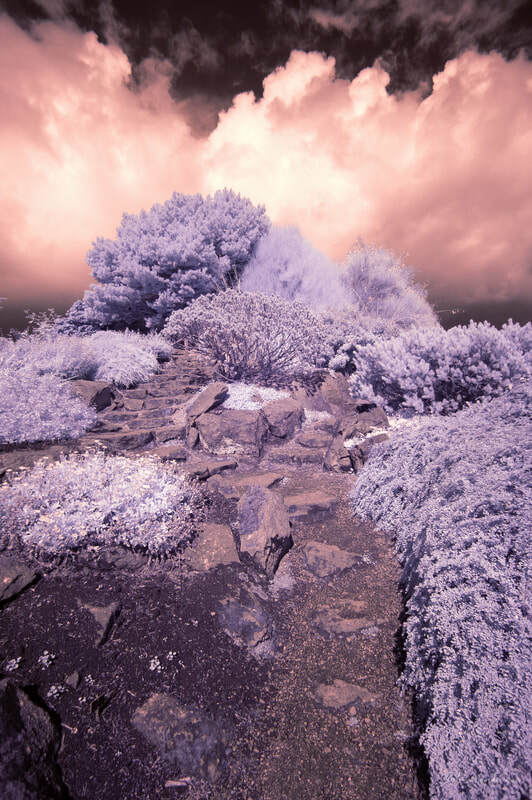 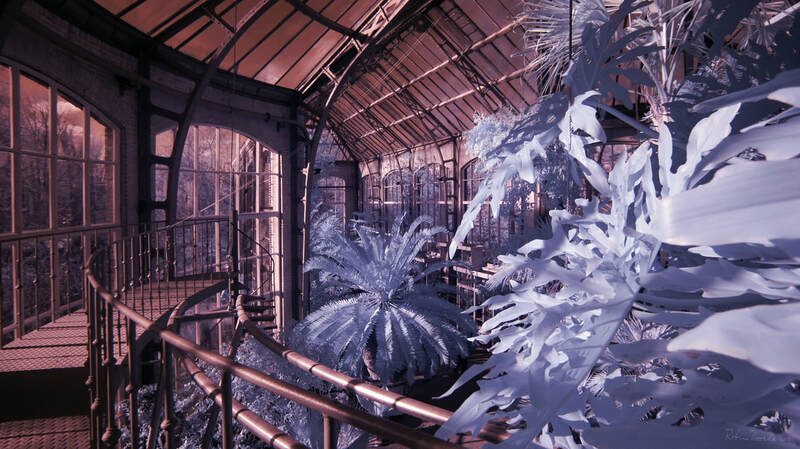 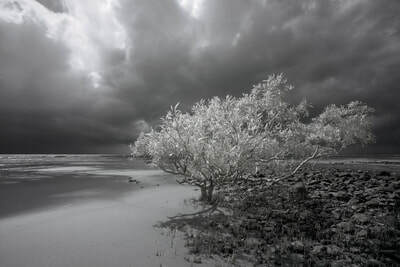 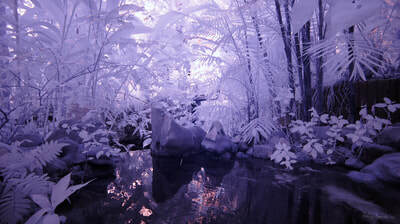 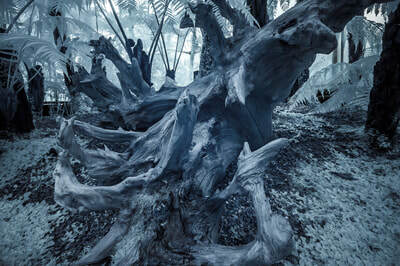 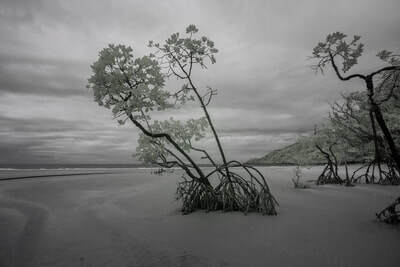 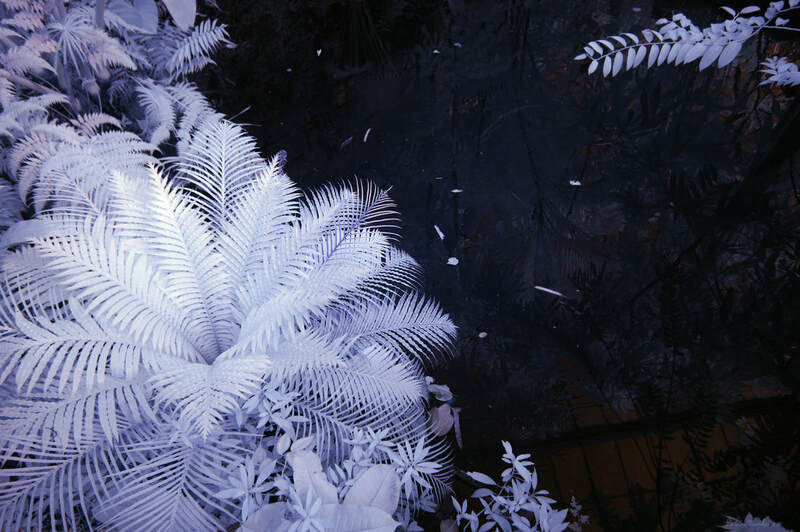 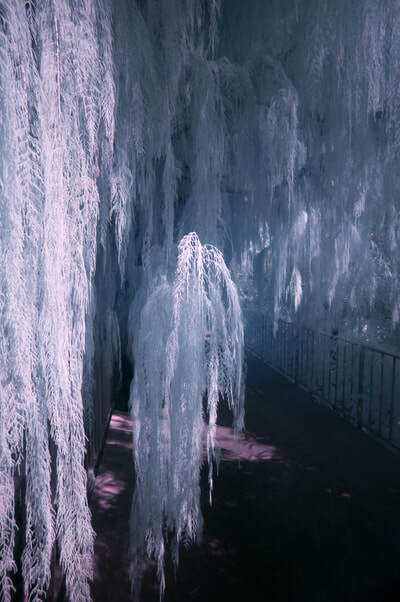 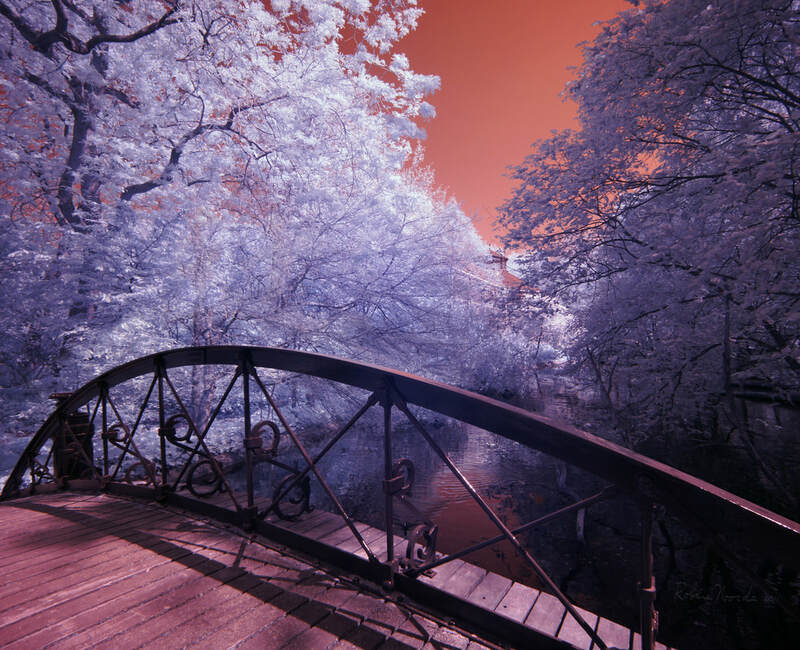 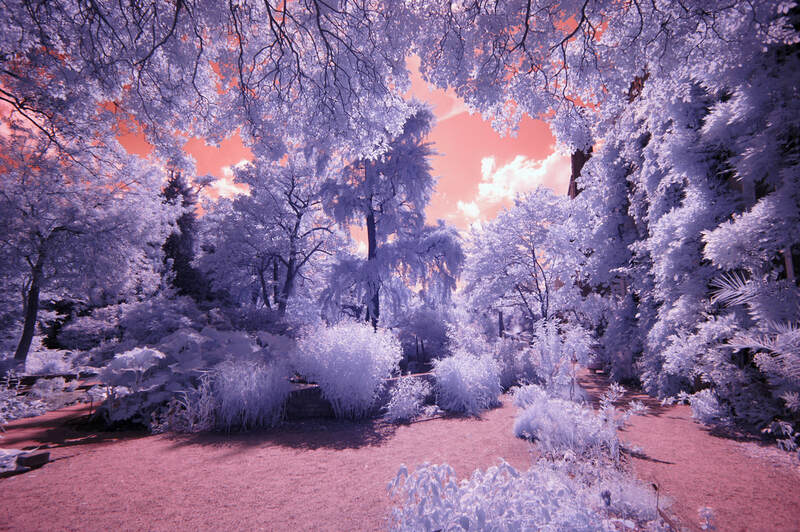 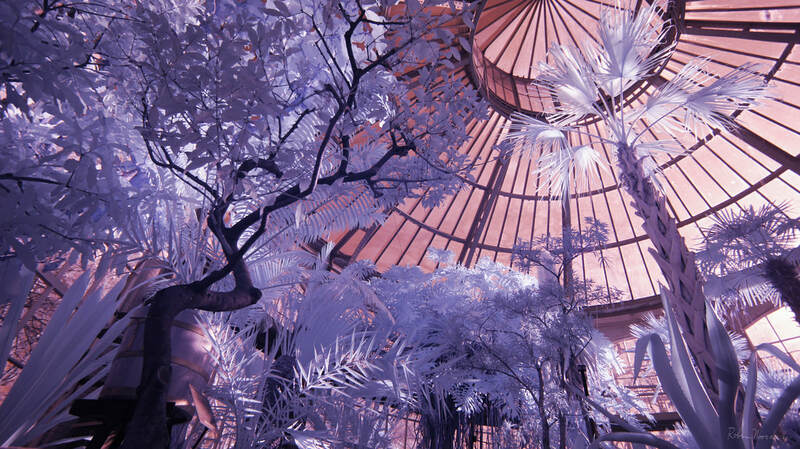 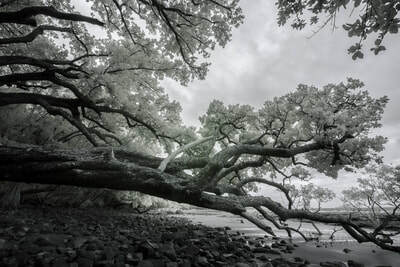 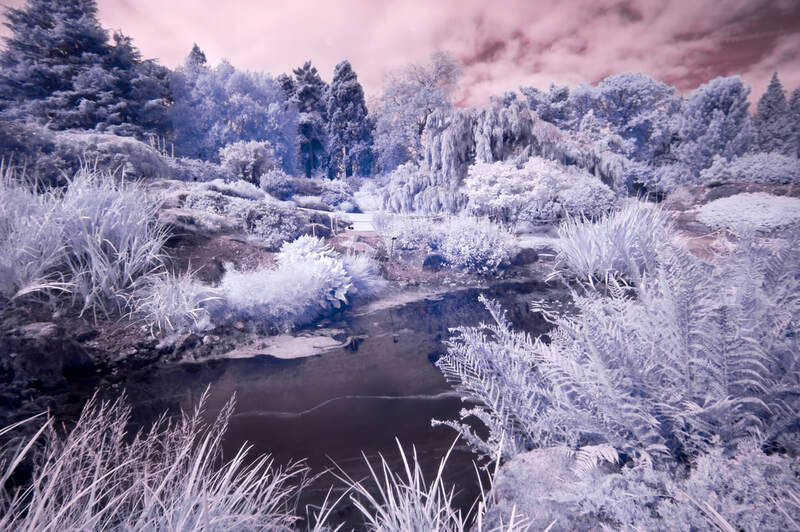 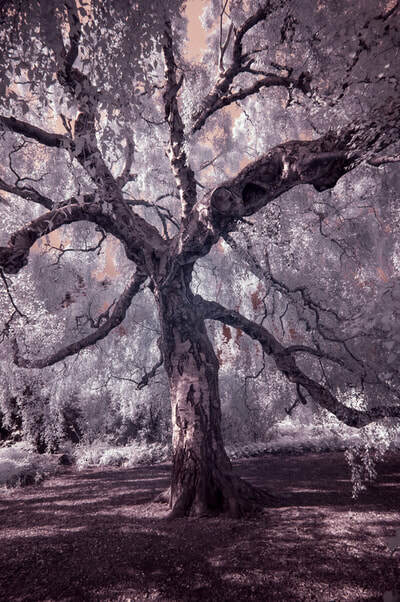 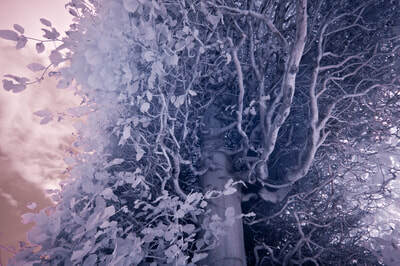 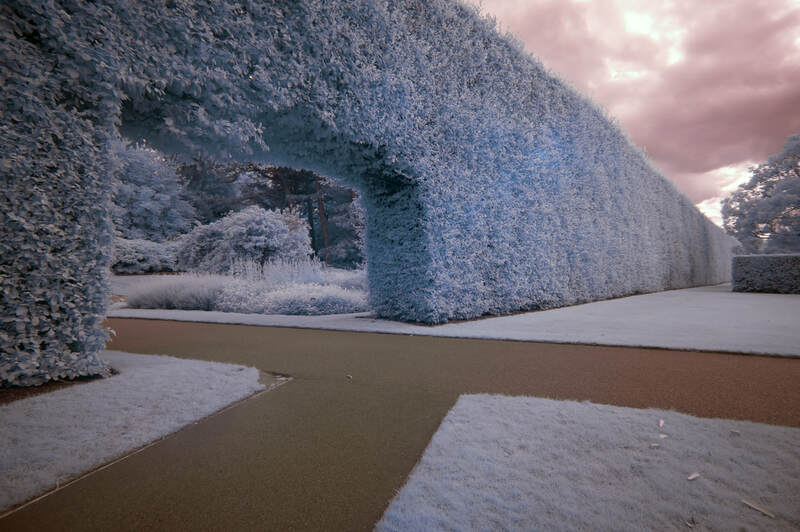 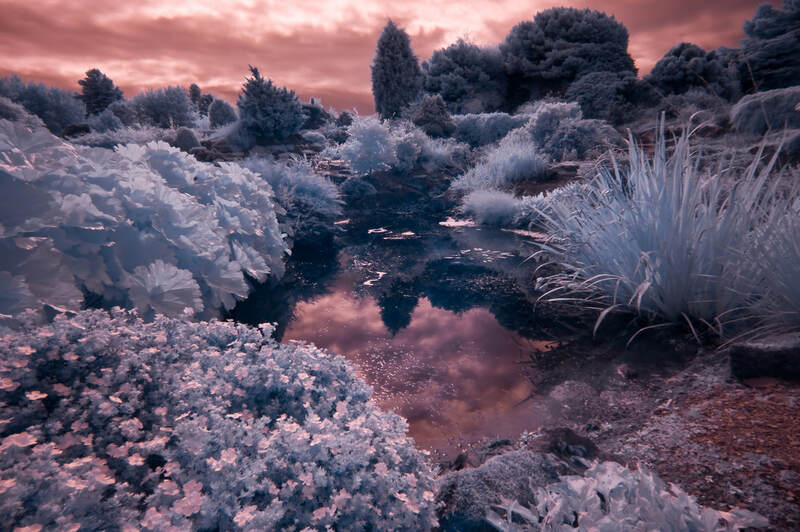 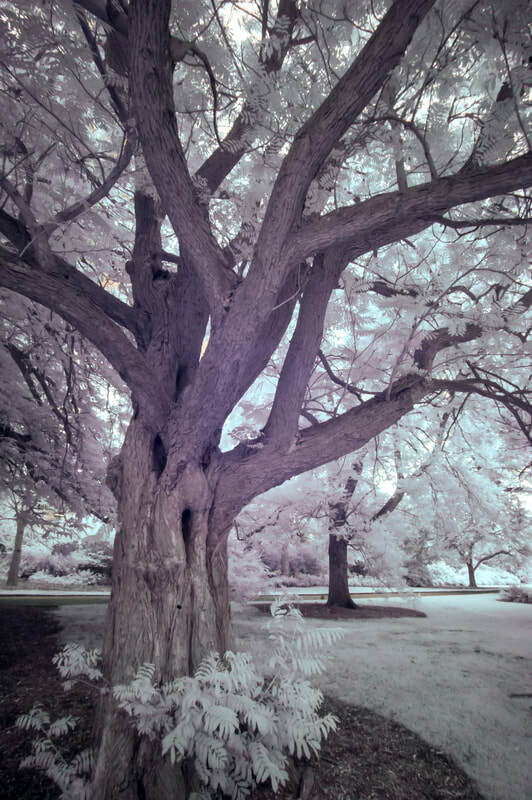 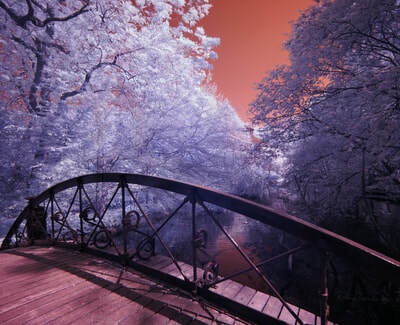 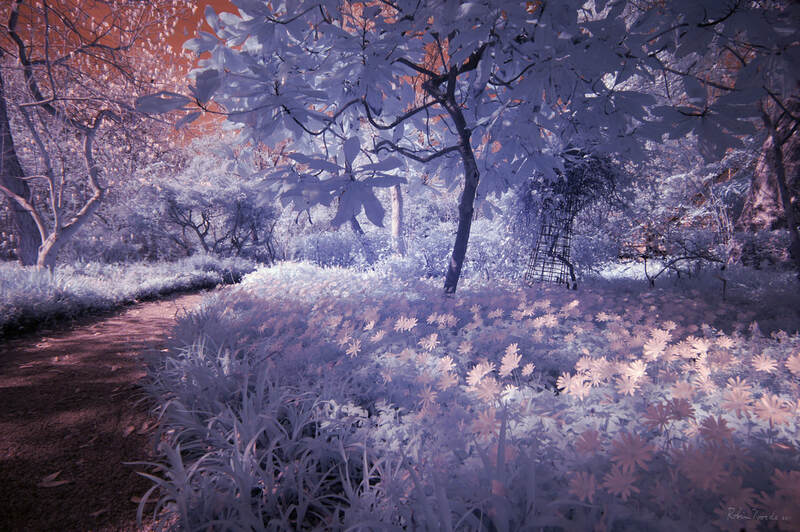 In the so-called 'near infrared spectrum' leaves, plants and grass colour pink and blue to white, as if there were frost on the branches and leaves. The detail in the shadows remains much more visible. 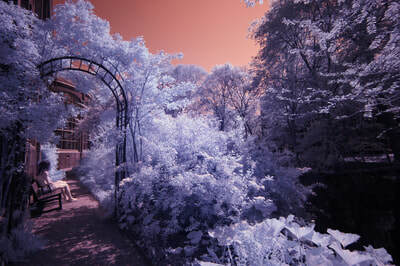 The blue sky gets a deep burgundy red colour. 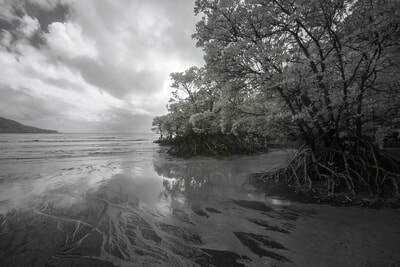 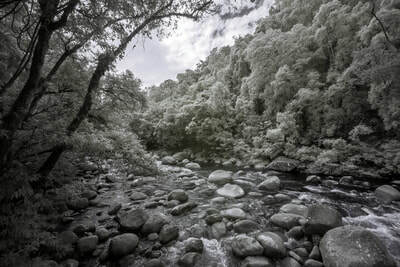 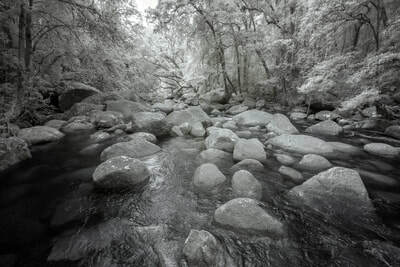 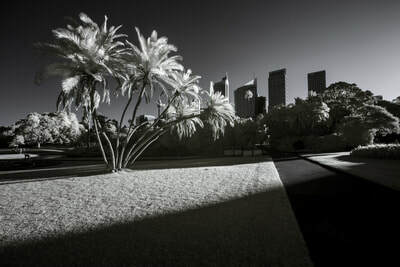 All this creates an extraordinary contrast range. Insects are not able to see red, and, just like birds, are able to see more clearly in the ultraviolet part of the spectrum. Plants use this ultraviolet part to achieve even brighter colours with which to attract insects for pollination, and to alert birds to fruit, berries and seeds. 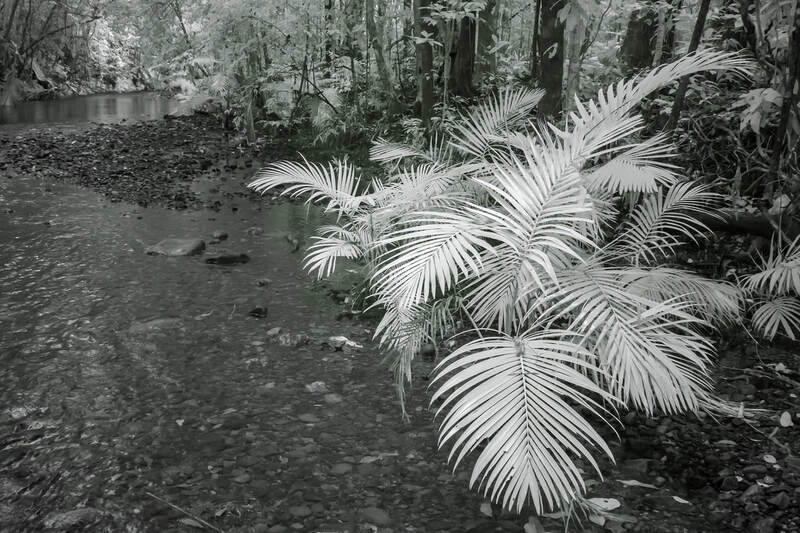 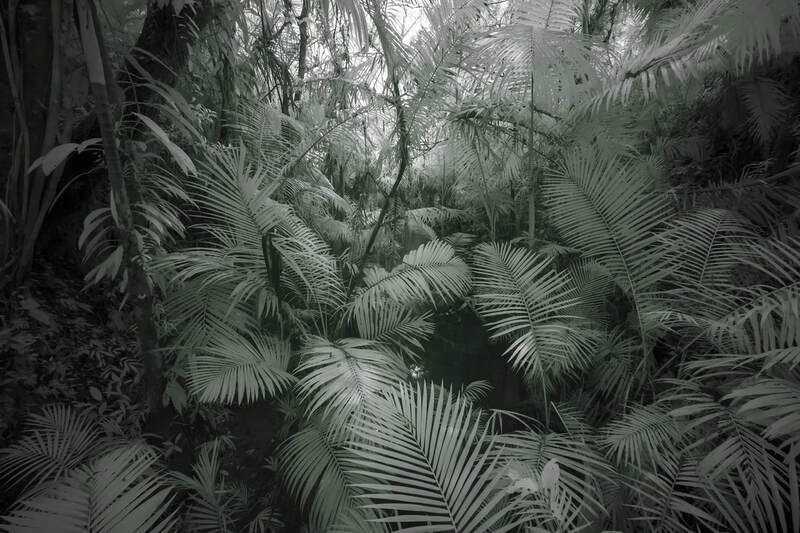 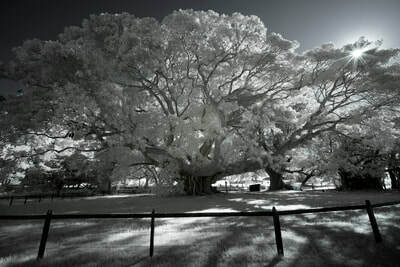 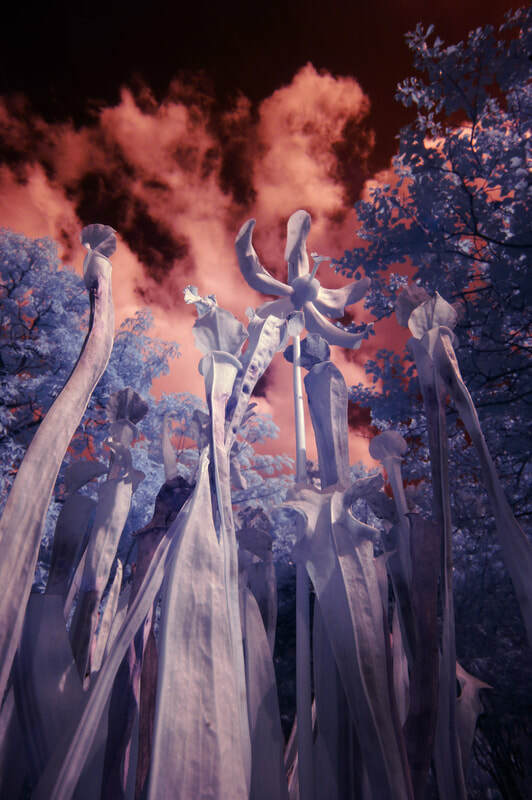 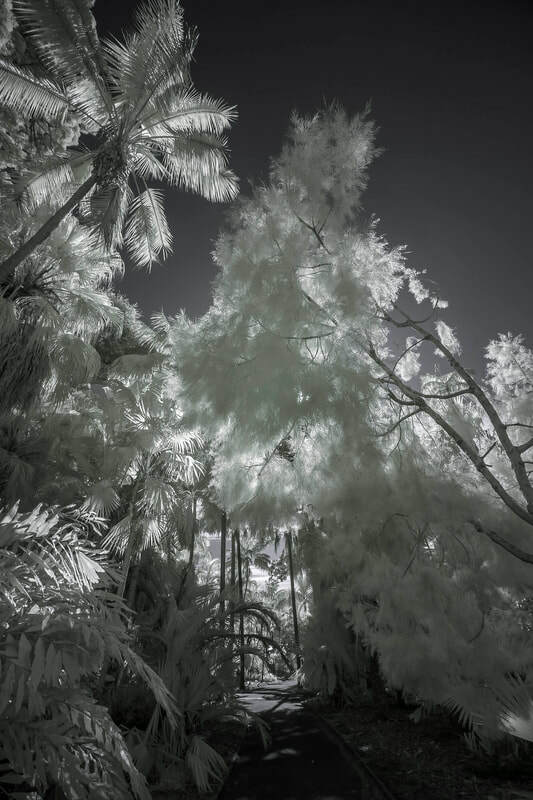 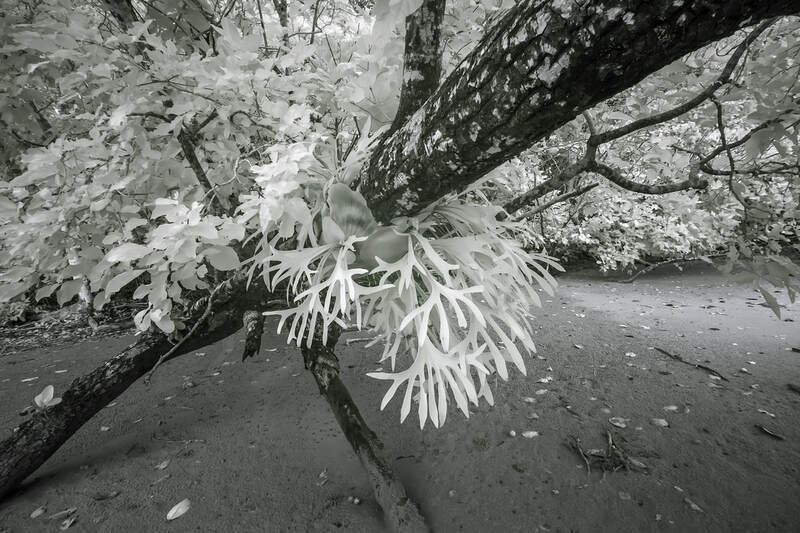 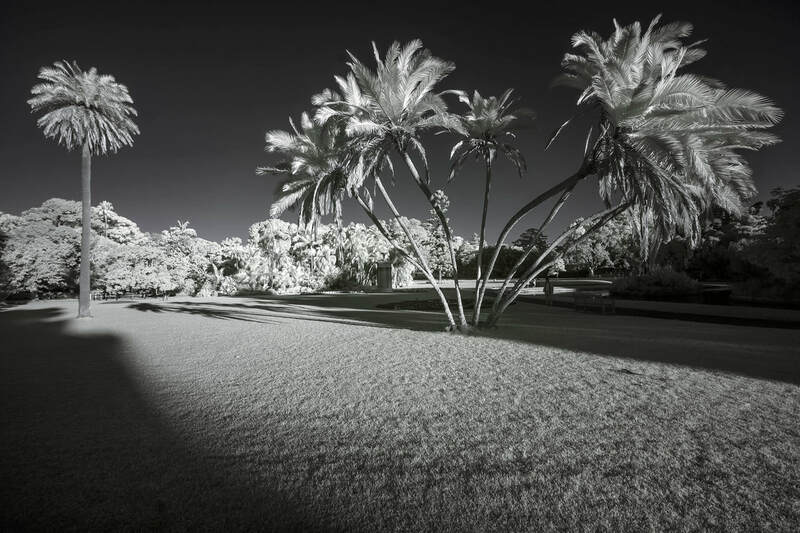 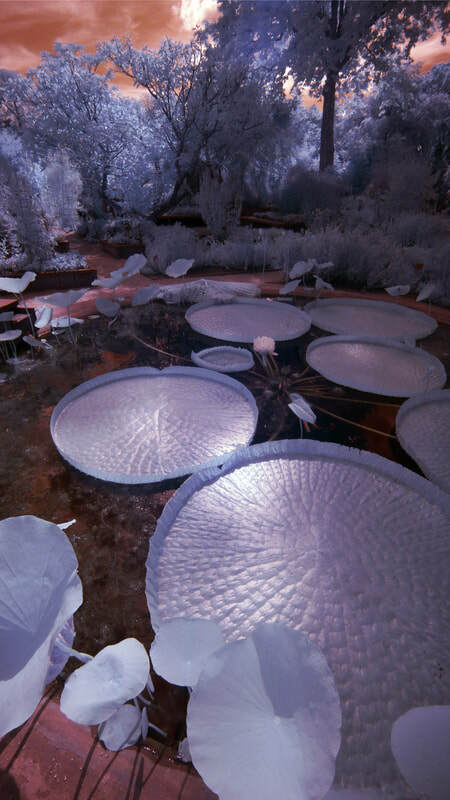 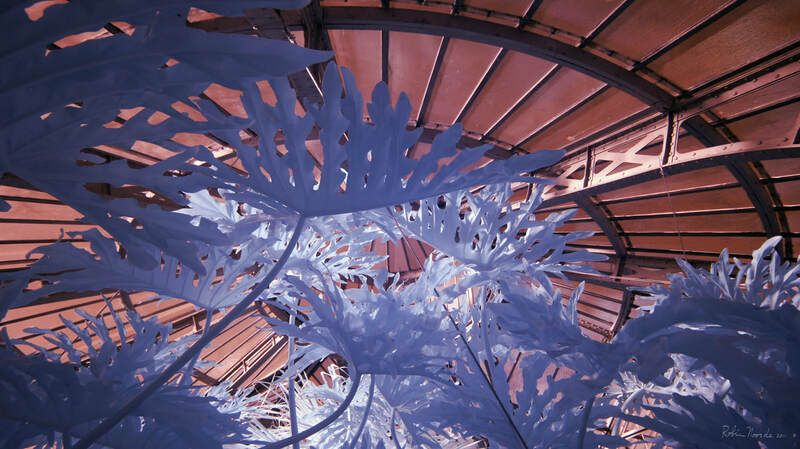 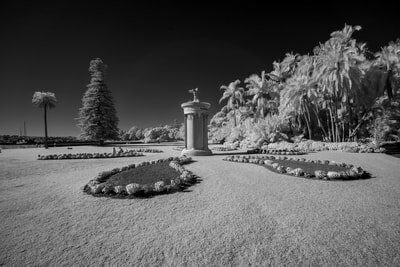 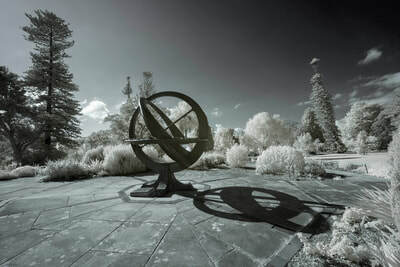 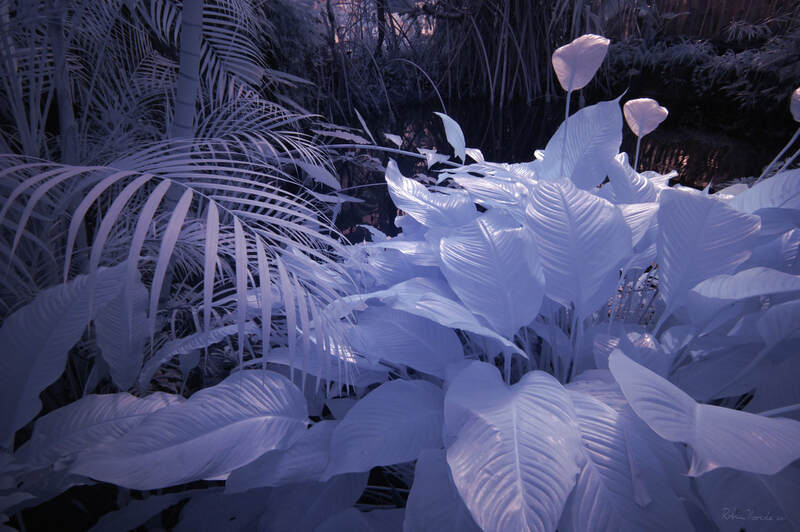 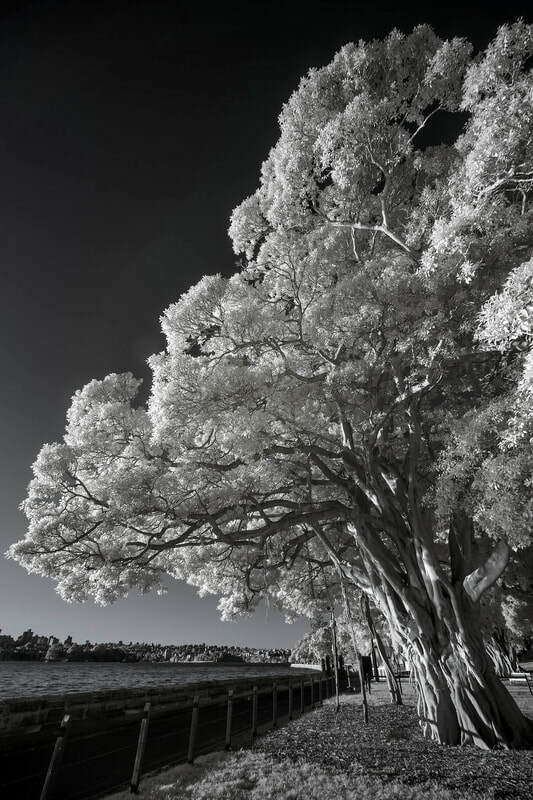 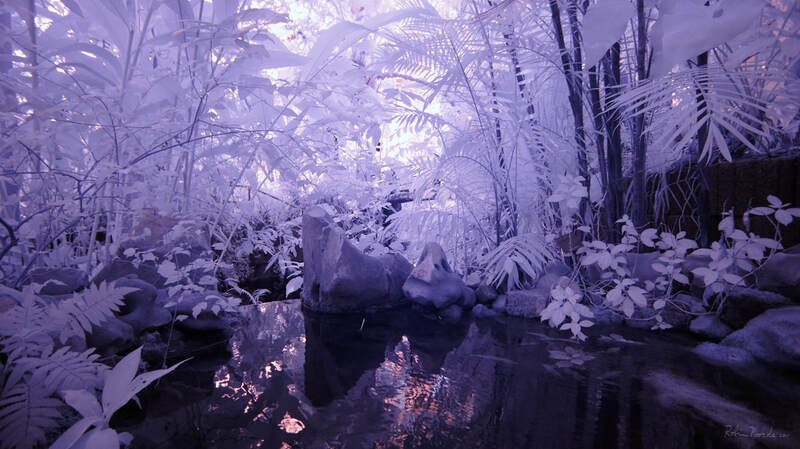 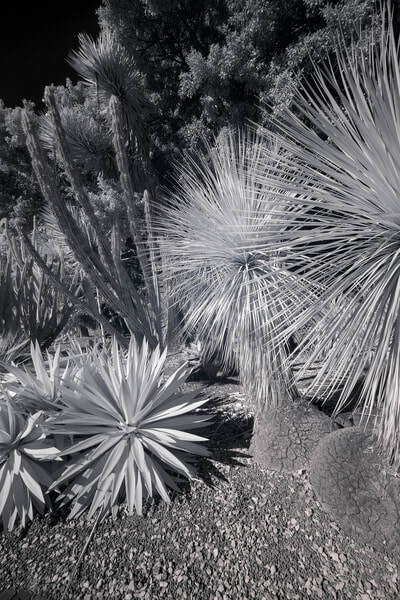 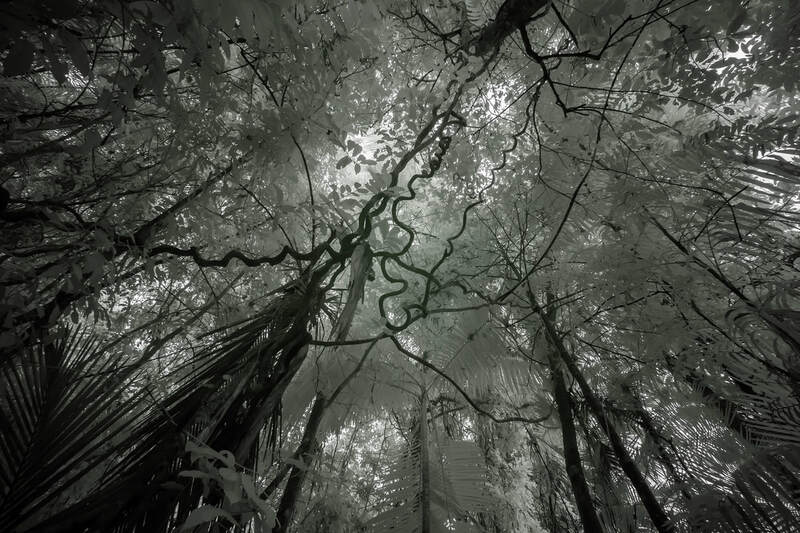 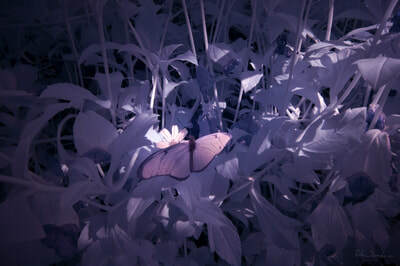 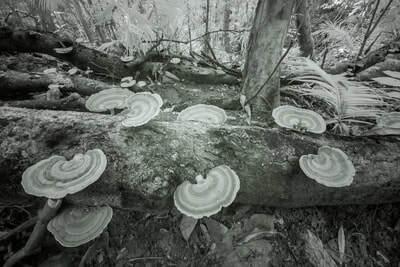 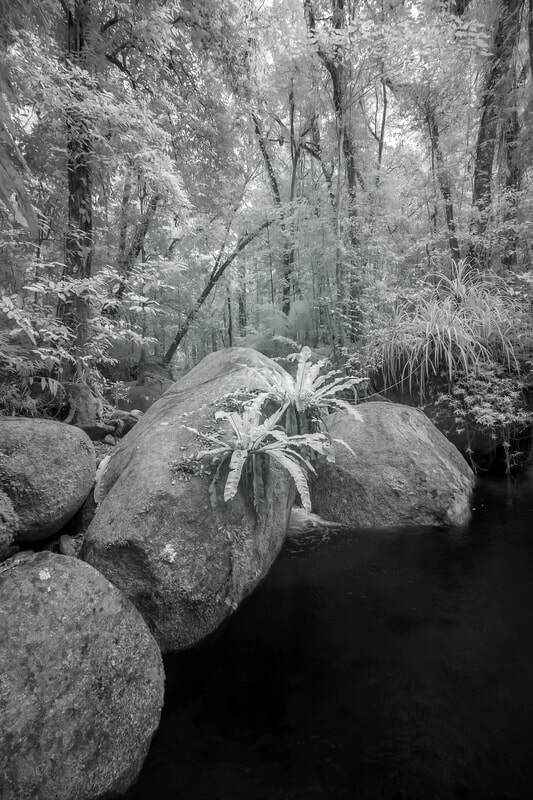 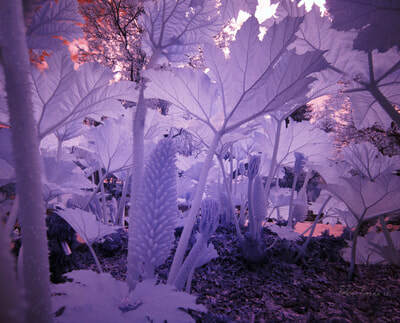 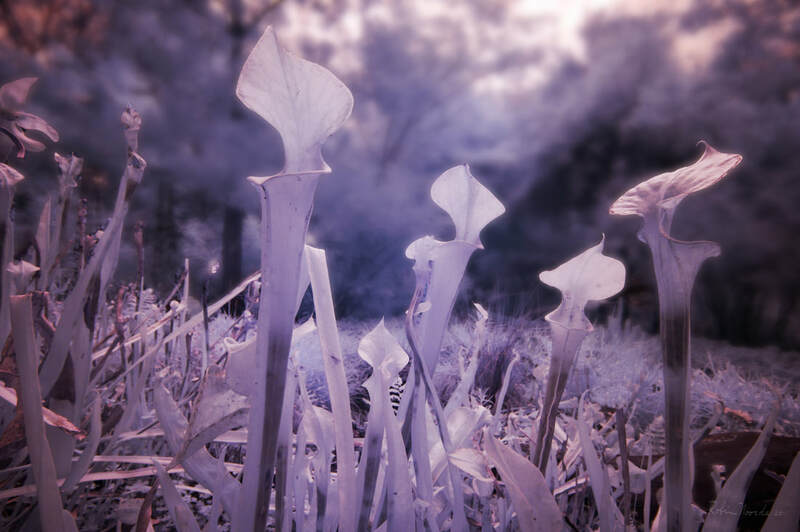 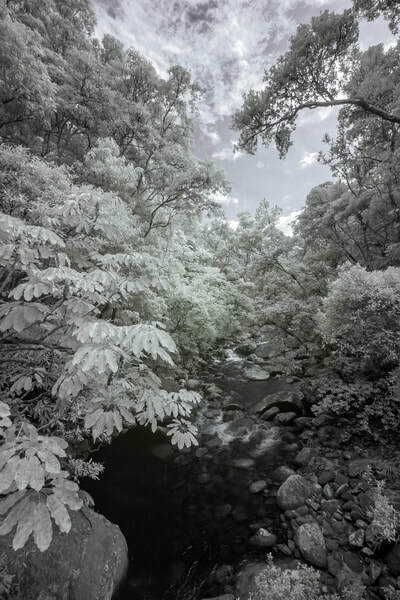 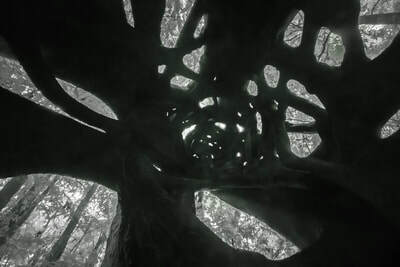 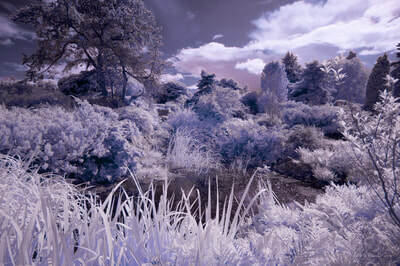 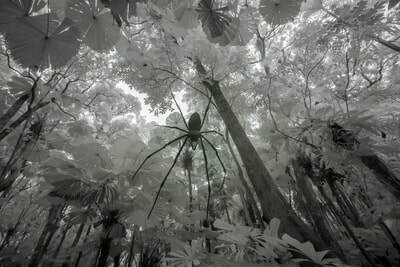 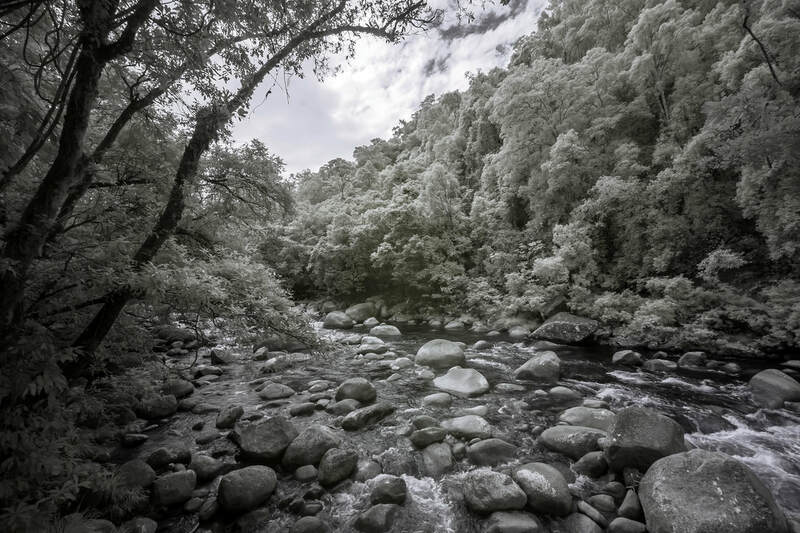 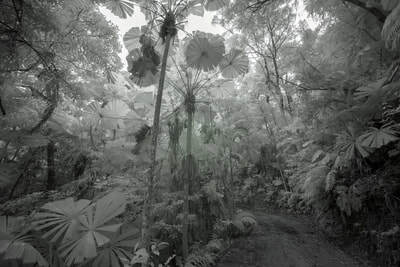 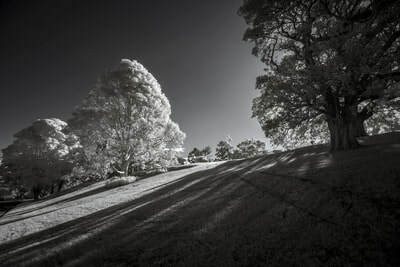 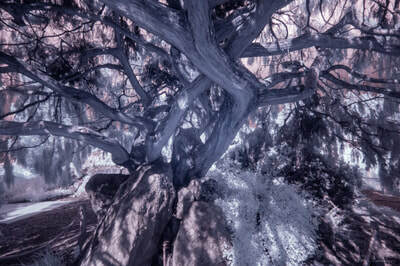 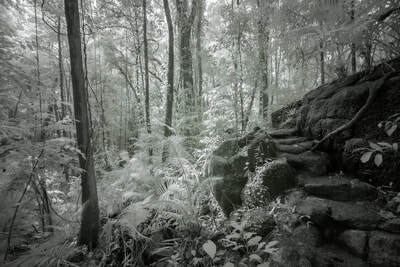 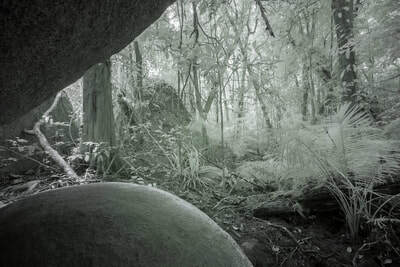 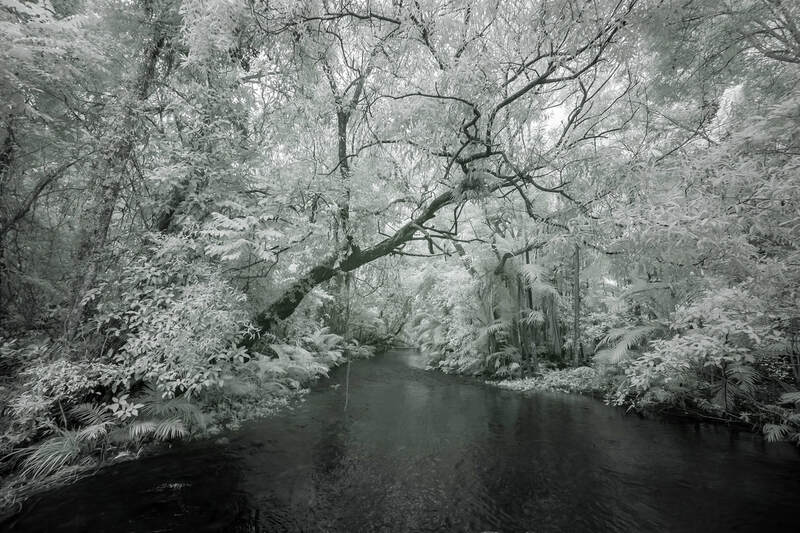 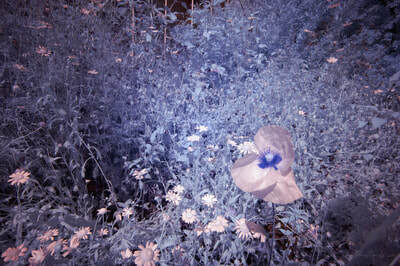 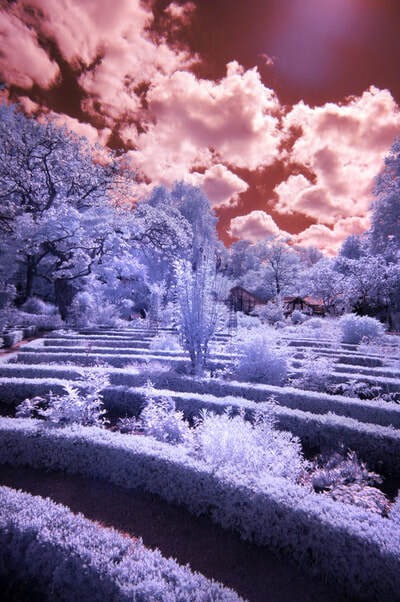 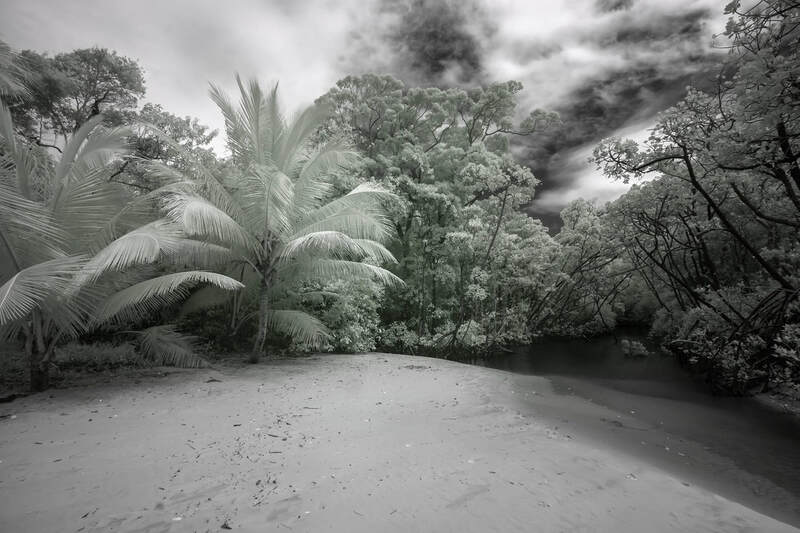 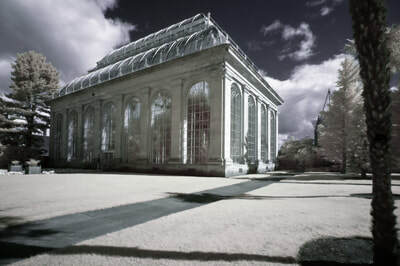 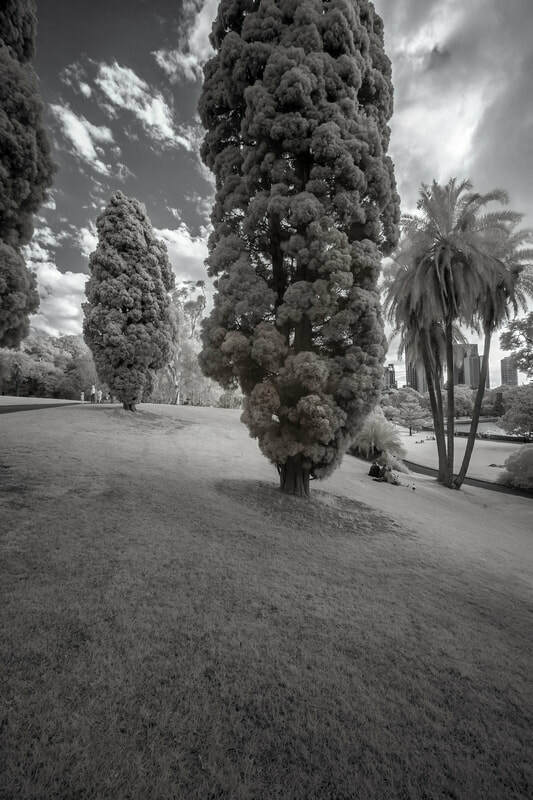 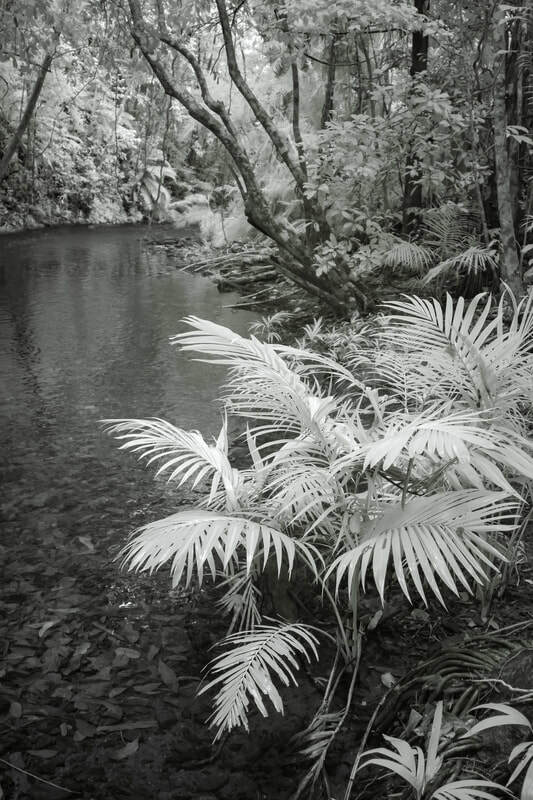 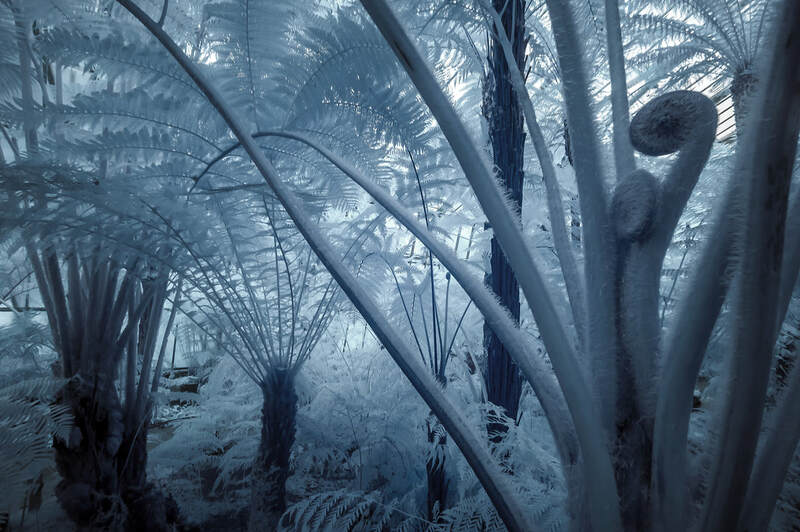 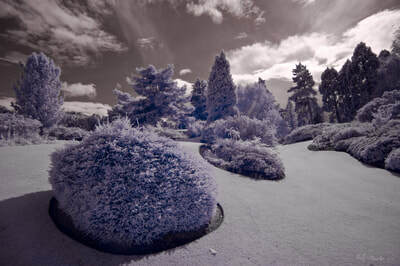 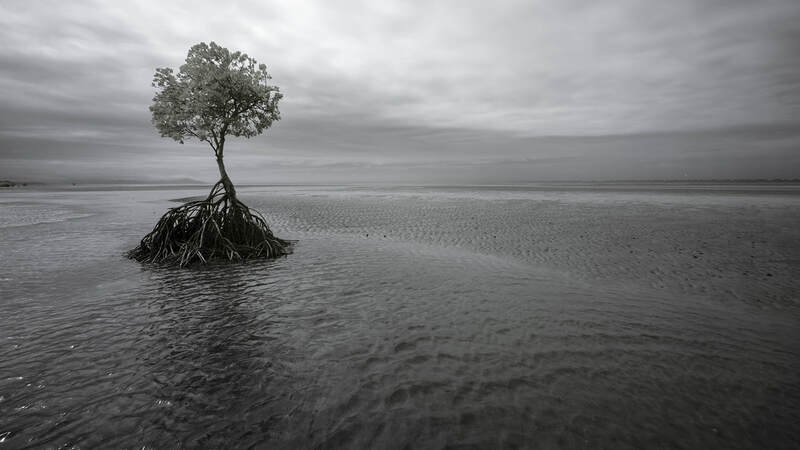 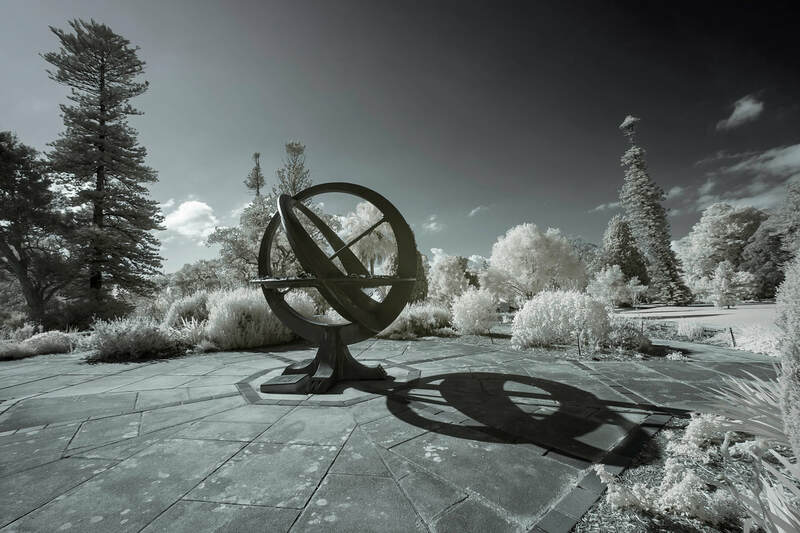 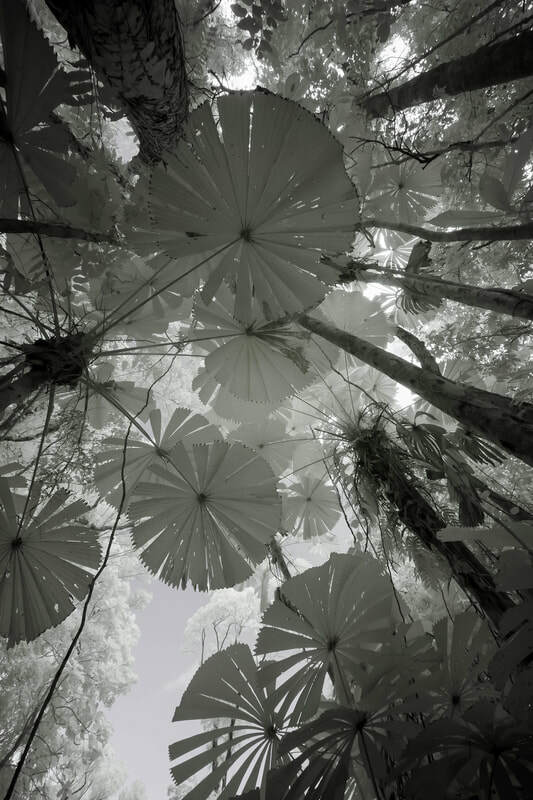 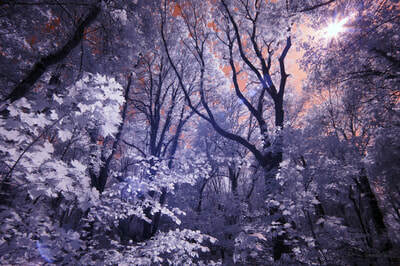 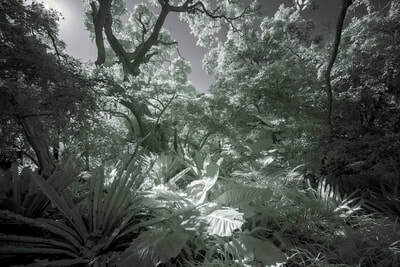 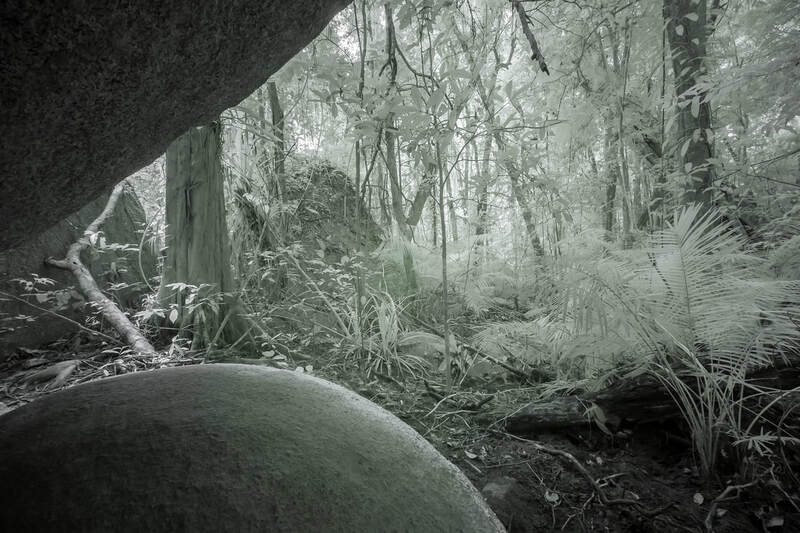 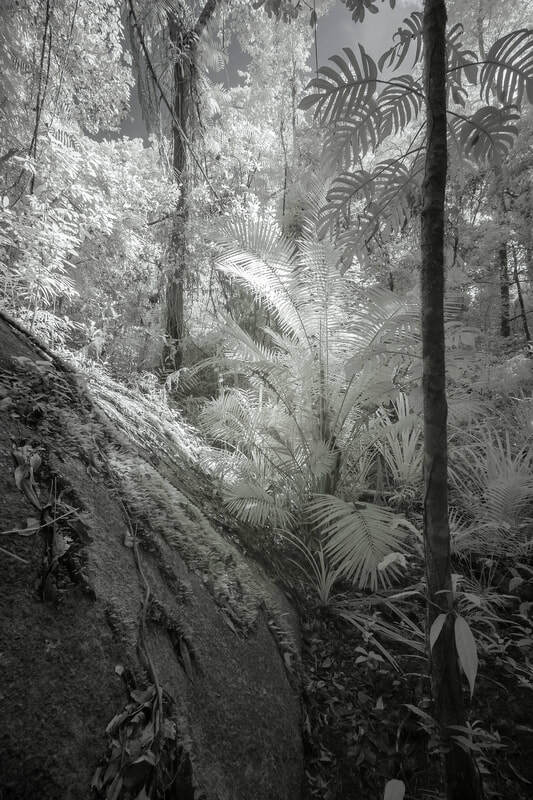 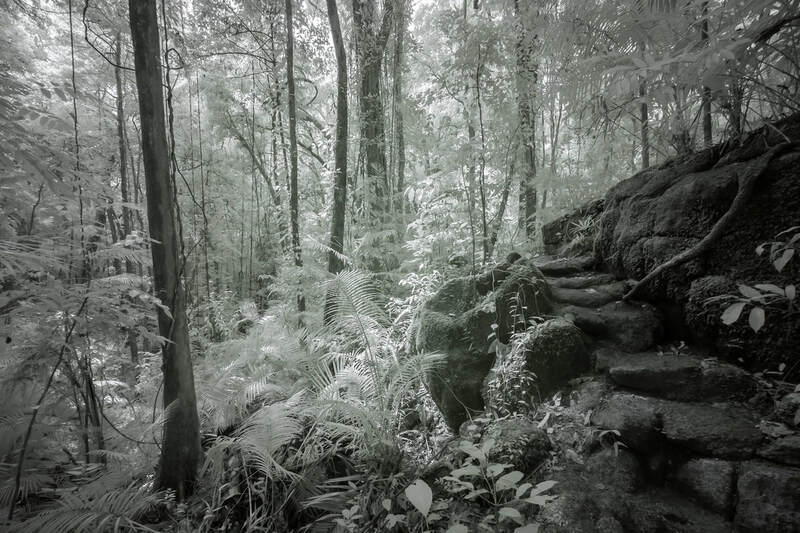 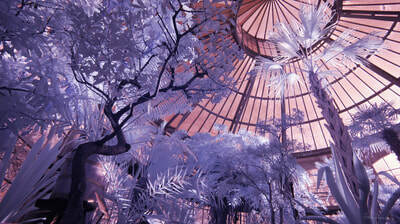 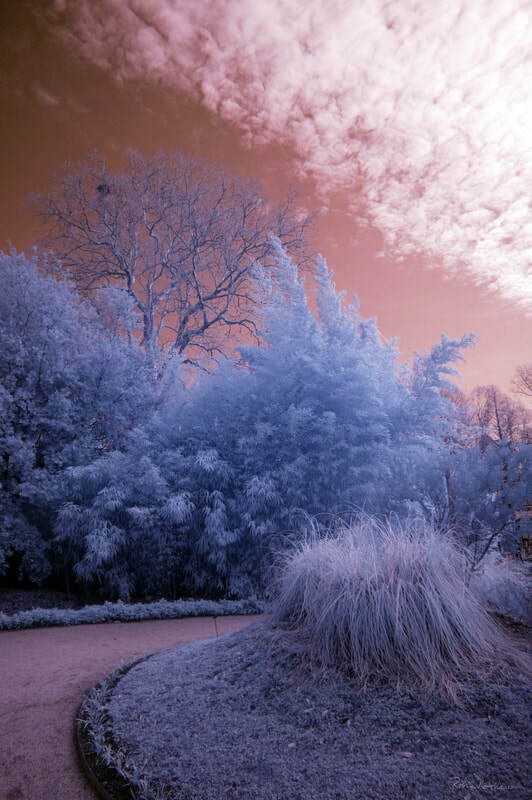 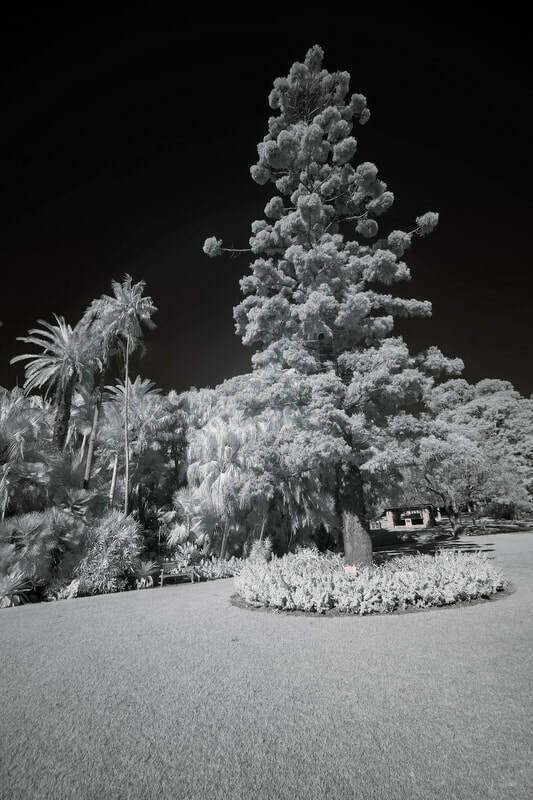 What we see in infrared is actually the plant in a pure way, without the colours that are designed to lure animals. The unadorned plant, stripped of make-up, the shamelessly naked plant, as it were. 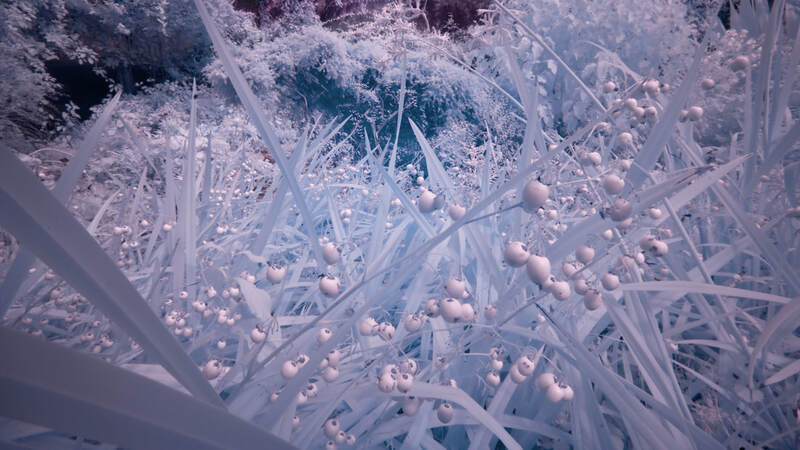 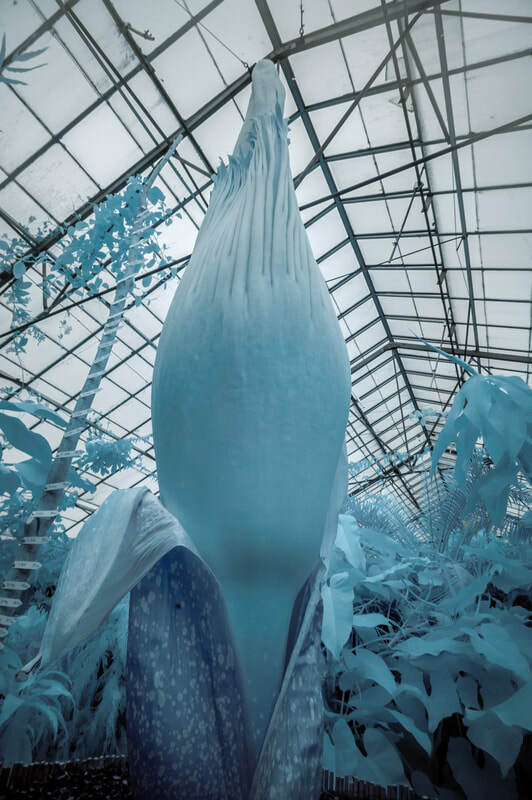 But perhaps it is also the perception of an alien creature that views our blue-green planet as, respectively, a red and light blue fairytale landscape. Or conversely, it may resemble a once lush landscape on Mars, with dark red skies and alien, icy blue vegetation. 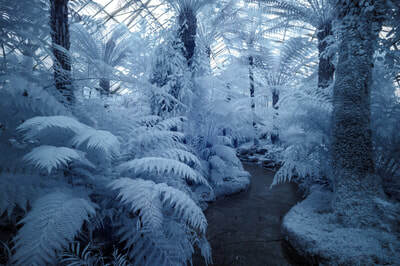 Row 1 till 7 Hortus Botsanicus Amsterdam, row 8 till 14 Royal Botanic Garden Edinburgh, row 15 till 18 Royal Botanic Gardens Sydney and row 19 till 30 Daintree Rain Forest.